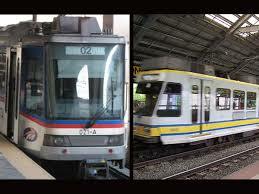 A group of online advocacy asked pinoy netizens to participate in their so called 'Selfie protest' against Metro Rail Transit and the Light Rail Transit fare hike. Selfie protest is an strike online by individual who take a photo of themselves with anti-fare hike slogan or signs. Usually, the photos must uploaded to any social media network like Twitter, Facebook, Pinterest and many more. According to the government agency, they eyeing to implement the increase in 2 years, P5 for every year. 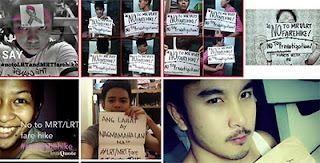 So here it is!, many netizens have already joined the Selfie protest, with the first batch of photos posted in a Facebook album. Comments or suggestions about "Selfie protest against MRT, LRT Fare Hike goes Viral | #SelfieProtest" is important to us, you may share it by using the comment box below.